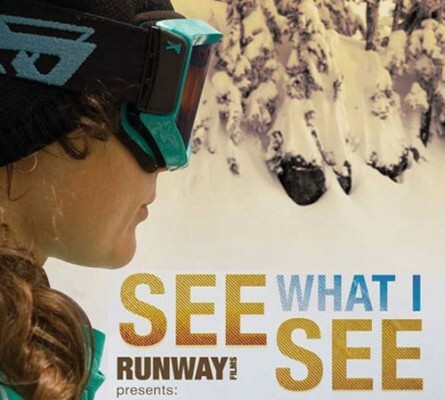 Runway Films, the brainchild of pro snowboarder Leanne Pelosi (no relation to Nancy), is a snowboarding film production company driven by the world’s most influential female snowboarders. Begun in 2007, Runway Films has produced two incredible videos to date: 2007′s La La Land, and most recently, See What I See. Sponsored by Burton, Roxy, DaKine and other snowboarding superpowers, the ladies of Runway Films have once again taken to the slopes of some of the worlds most famous peaks to bring us a full length film packed with rail jams, big airs, massive bowls of untouched powder, and perhaps my favourite, the entertaining antics of some of the world’s greatest women riders. With footage of Leanne Pelosi, Amber Stackhouse, Desiree Melancon, Anne-Flore Marxer and many more, See What I See promises to get you wishing the winter was here already so you could get out there and ride. I’ve been watching the trailer with baited breath, and have already made sure my plane tickets are booked to hit the west with full force once the snow begins to fall. Until then, you can purchase See What I See here.